As the annual Golden Throne game rolls around for its 25th anniversary, Lewiston has revealed that their theme will be “the 1980s.” While the decade is known for its bright colors and bold prints, the crazy pop culture is another staple of the decade. One of the most well-known movies is the time-travel special, Back to the Future. In the 1985 classic movie, Back to the Future, Marty McFly (played by Michael J. Fox) is a 17-year-old living in a small town in California. Marty’s life is flipped when his slightly-mad, 65-year-old, scientist friend, Doc Brown (played by Christopher Lloyd), creates a time machine out of a DeLorean car. While Doc is showing Marty his new invention, the two are gunned down by Libyan Nationalists. Marty attempts to escape by using the DeLorean, but instead he activates the DeLorean time machine. This sends him back 30 years into the past. While Marty is stuck in 1955, he visits his own high school and meets both of his parents as teenagers. But he accidentally interrupts their first meeting after his mom catches feelings for Marty. He is then tasked with finding out how to get his parents together, otherwise he will cease to exist in the future. He also has to finding out how to make it back to the future to save Doc from the gunmen. Marty finds young Doc Brown in 1955, convinces him that he’s from the future and that he needs his help. While this movie has high ratings all around, with an 8.5/10 on imdb.com and a 96 percent on rottentomatoes.com, and while remains a classic to this day, the story still has many plot holes that have yet to be explained in the 23.5 years since its 1985 release. The first one is probably the most popular plot hole, thanks to a comedian namedHari Kondabolu. He poses the question: “Why don’t Marty’s parents recognize him?” Even though his teenage parents only saw him for a short period of time, he was pretty much the only reason they got together. And that, paired with the fact that his mom had a crush on him when they met in the past, makes it seem unlikely that they wouldn’t even be a little weirded out. Another popular comedian, John Mulaney, has a similar comedy set that poses two questions about the movie. The first one has to do with the two main characters, Marty and Doc. How did they even become friends? One of them isn’t even a legal adult and one is well past middle age, but throughout the movie, there isn’t one explanation as to how they became friends. Mulaney also questions the title for this movie. 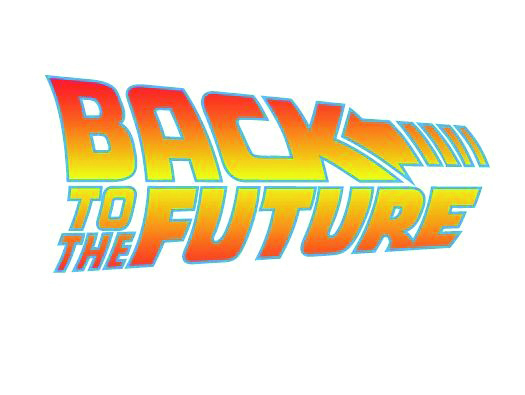 Why would it be called Back to the Future when it’s about going to the past and getting back to the present? Also, they don’t even go to the future until the second movie in the series. There is also no way that a teenager could go missing, without any trace at all, for a week without the police getting involved somehow. Weren’t his parents worried? Did his school not realize that he wasn’t going to class? Why didn’t his classmates ask any questions? Sure, this was the 1980s and it was a different time, but it still feels like something that should’ve been looked into. While this one is more of a paradox than a plot hole, it definitely needs to be acknowledged. Since Marty goes back in time and tells Doc about what happens, that means Doc in the future should know what’s about to happen. He should know that the time machine he creates will send Marty to the 1950s, almost get him killed and cause many, many other problems. So why did he still build the time machine? Also, when Marty goes back in time and visits his high school for a week none of the students seem to blink an eye at the futuristic newcomer. It’s not exactly like Marty laid low, either. He made someone catch feelings for him, he fought the school bully and much more. It feels like he did more than enough for the staff and student body to catch notice. Even with all of the plot holes that are presented throughout the movie, and the ones that continue through the entire trilogy, Back to the Future is still a favorite for many, thanks to the interesting plot.